I was reading about the Reformation last night and it brought this thought to mind. Why is there such a war against the Bible and what is the impetus for undermining God’s Word? The revelation from my reading is that it is not just atheists who have historically opposed the Bible. Sometimes, it has been the Church. What was the Reformation? It was a reform movement that came from within Roman Catholicism in and around the 15th century when Martin Luther confronted the Catholic hierarchy about its many deviations from true Christianity. 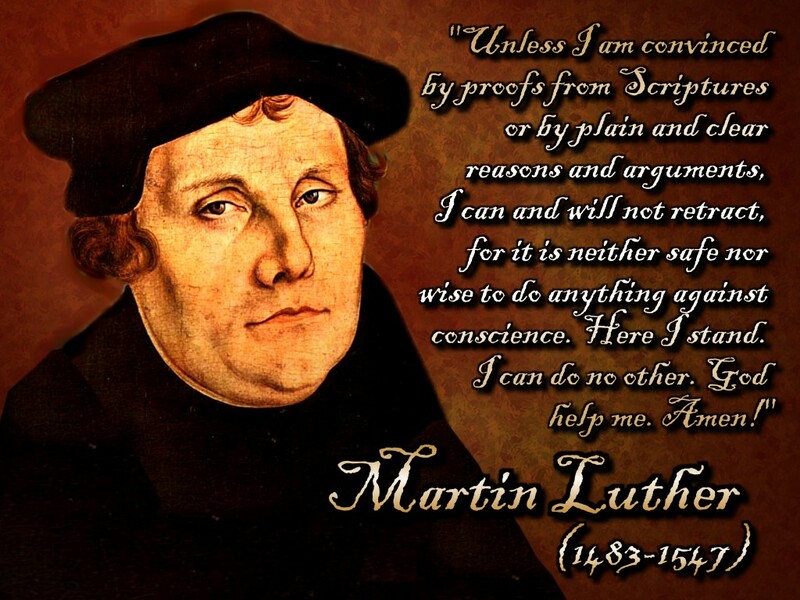 Luther’s basic premise was that the Bible stood above cardinals and popes. One of Luther’s fellow reformers wrote, “The Author of Holy Scripture is God Himself, and this Scripture partakes of the might and eternity of its Author. There is neither king nor emperor that is not bound to obey it.” And so the war against the Bible was out in the open. What ensued was several centuries of Catholic opposition against Protestants, as the reformers came to be called. It wasn’t strictly speaking a religious battle. Catholic leadership never paused to consider whether Luther was right about the Bible’s teaching. They acted to protect their power and authority, even by attempting to keep the Bible out of the hands of the common man by discouraging the translation and printing of Scripture in the national languages of Europe. Catholic leaders were waging a war against the Bible because the Bible empowered individuals to point out error in their leadership. One of the essential messages of the Bible is that every individual can have a direct relationship with the Creator God, and that God’s authority overrides that of any government, whether religious or secular. This is why the powerful war against the Bible. Biblical thinkers had a brief victory during the founding of the United States when Thomas Jefferson justified rebellion from the King of England because God’s authority superseded that of any earthly king. Jefferson went so far as to assert that the reality of creation was “self evident”…not even possible to question. But mere decades later, a new scientific establishment began promoting evolutionism and asserted that creation by God wasn’t even worth considering. What changed? It wasn’t new scientific knowledge. It was a newly assertive power elite that seized science as a tool to use for its purposes. They even enlist the help of Christian leaders by appealing to their human desire to appear “smart” and “scientific”. Today, secular progressives continue to war against Biblical Christianity while promoting tolerance of any other religion, philosophy, lifestyle, or creed. Why do they target Christianity? Because the Christian God asserts truth, and many truths are inconvenient to the rich and powerful. The mission of CreationXpo is to share Biblical truth with whoever will listen. Many people are not part of the power elite, but have allowed themselves to be pawns yielding to the pressure of “popular opinion”. Don’t let yourself be used. Look instead for what is true. Creation is not the outlandish idea that secularists want to convince you it is. It’s a Jeffersonian idea. The basis of American government. It’s also good science.